When ABC needed a summer filler for "Grey’s Anatomy", the network took a shopping trip north of the border and found "Rookie Blue", a perfectly formulaic — and perfectly cheap — cop drama. The show is designed for a cross-border audience, and aside from the occasional shot of the CN Tower or a bright blue $5 bill, there’s little to tip off Americans that the show is imported. The fourth season carried five million viewers in the U.S., about five times the number of Canadians who watched the drama. The U.S. audience is still a fraction of the nearly 19 million viewers "The Big Bang Theory" attracts, but in this era of shrinking audiences it’s enough to keep "Rookie Blue" on American airwaves. It’s the sort of tempered international success Canadian producers now strive for. Welcome to the future of CanCon. Canadian content rules have been in place for TV broadcasters since the 1960s, born out of the belief that Canadians needed to see their culture reflected back to them when they turned on their TV. But Netflix, unauthorized downloading, video on demand, iTunes and other custom platforms have revolutionized how, when and where we watch TV. Technology has made the world of TV more global and audiences more fragmented, changing the game for viewers, producers and policy-makers. As even the most buzzed-about shows like "Breaking Bad" draw a fraction of the ratings of hit shows in bygone eras, U.S. networks settle for Canadian shows like "Rookie Blue" because they produce mediocre ratings at a low cost, thanks to content that is heavily financed through Canadian licensees, incentives and subsidies. Meanwhile, Canadian networks prefer importing U.S. content to fill schedules because it is low-risk with a more attractive price tag than original productions. It is the paradox of Canadian television: Producers struggle to de-Canadianize content to play to international audiences while trying to maintain enough distinction to appear “Canadian enough” to appease CRTC requirements. The changing landscape has replaced innovative CanCon like "Trailer Park Boys" and legends like "SCTV" with safer fare like "Rookie Blue" or "Flashpoint" or derivative American content: Spin-offs of hit reality shows like "The Bachelor Canada", which have been ratings gold. So are CanCon rules worth saving? It is a question the Canadian Radio-television Telecommunications Commission is open to examining as part of a review of the future of Canadian TV this spring. “Everything is on the table” in the upcoming review, CRTC chair Jean-Pierre Blais said in an interview with HuffPost Canada, adding that the current system is outdated. The consumer-focused chairman has signalled in the past he’s willing to consider removing Canadian content obligations and foreign restrictions. CanCon rules require Canadian TV broadcasters to ensure 60 per cent of their overall content is Canadian and to spend about 30 per cent of their revenue on domestic content. 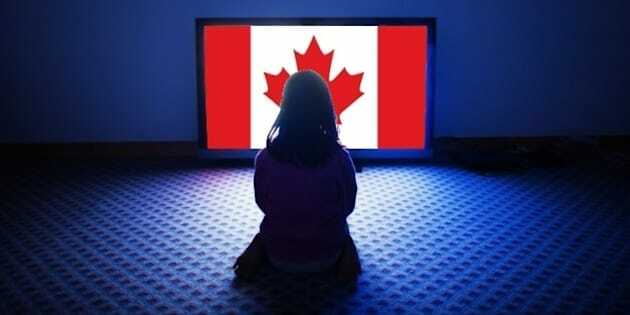 Fearing shifting viewing habits will hurt their bottom lines, many broadcasters are calling on the federal broadcast regulator to loosen their commitments to produce Canadian content, or at least require new competitors like Netflix and Apple TV to cough up for CanCon too. Meanwhile, the number of Canadians tuning into domestic programming is steadily declining. Huffington Post Canada’s readers appear blase about consuming homemade content. In an informal survey of nearly 1,000 readers, 76 per cent said Netflix should not have to subscribe to Canadian content rules. Spending on Canadian television has never been higher, but not by broadcasters’ choice — they make a majority of their revenue from non-Canadian content and devote the best time slots to it. Many broadcasters resent the CanCon mandate. They lose money on Canadian programming because it doesn’t draw high enough audiences to cover licence fees and other costs. And they argue that Netflix’s entry into the Canadian market provides little net benefit to the country. Netflix doesn’t pay any taxes or contribute to Canadian production funds under the current rules. The U.S.-based online streaming giant was painted as a foreign threat during CRTC hearings into Bell’s acquisition of Astral, with the broadcasters arguing a merger would help create a Canadian competitor with the heft to compete against Netflix. Though Rogers Communications and Shaw Media spoke out about their rival’s proposal, they line up with Bell in warning about the negative impact online TV providers like Netflix could have on the marketplace. “There’s no question they’re living in a space here where it’s not an even playing field. We have obligations to the Canadian system that they don’t,” Shaw vice-president of original programming Christine Shipton said in an interview. “We pay into production funds and we pay taxes and many of these 'over-the-top' providers aren’t paying taxes and they certainly aren’t paying into production funds,” said David Purdy, Rogers vice-president of content. Purdy doesn’t want Netflix and other new entrants to have to pay into the system, instead he wants to be “free to compete more directly” through loosened CRTC rules. Netflix has argued that it does support Canadian programming. It has bought the rights for many Canadian hits, including "Kids in the Hall", "Slings and Arrows" and "Being Erica". The CRTC estimates about five per cent of Netflix Canada’s content is Canadian and the company spends about $5 million a year on CanCon. In addition, Netflix’s original show "Hemlock Grove" was shot in and around Toronto, meaning at least some of its reported $45 million budget was spent in Canada. However, critics argue, those investments do little to support the production of new Canadian shows. Any market share gains by Netflix at the cost of a Canadian competitor reduce CanCon funding, the CRTC has said. The regulator estimates that each loss of a TV subscriber to Netflix reduces Canadian content spending by $2.05 per subscriber per month. The CRTC has largely been able to sidestep the Netflix issue so far, pointing to studies showing it has yet to lead to mass cable cutting. However industry players think the regulator will be obligated to address the issue in upcoming hearings over pick-and-pay cable. “It’s going to radically reshape the policy structure in the country, it can’t help but do that. I think it’s an appropriate time to include the debate about the role of broadband television,” said Michael Hennessy, president of the Canadian Media Producers Association. Still, he doesn’t believe broadcasters’ claims that deregulation of the industry is the answer. That, he said, would only exacerbate an already likely decline in the number of Canadian television shows produced. Competition in the Netflix age will lead to a shaking out, Purdy said. Canadian broadcasters with iconic original content will succeed and those with middle-of-the-road content will struggle. Broadcasters are scaling back on the number of shows they’re funding and hedging their bets with higher investments in the few shows that show the most promise. It could mean the end of mediocre content, or it could mean more "Rookie Blues". Scale is more important than ever for producers willing to be daring. Pumping money into a franchise to produce the equivalent of a "Game of Thrones" in a country one-tenth the size of the U.S. is only remotely profitable if producers can guarantee an audience outside the country. That means an increasing number of co-productions — international collaborations like "The Borgias" — that could increase viewership around the globe, driving a lot of programming to be less identifiably Canadian and Canadian controlled. But there is hope for a balance between Canadiana and global success in co-productions, such as the critically-acclaimed and internationally aired "Orphan Black", which has a mostly Canadian cast and doesn’t hide its Toronto setting. Audiences are driving content more than ever, and the younger generation of viewers is less concerned with the origin of the show as long as it’s good, Hennessy said. The explosion of online platforms makes it easy for Canadians to discover the world’s best TV, which might just include Canadian shows.